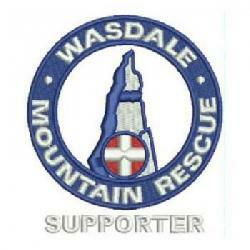 Call from police re a group of 5 3-peakers lost on Scafell Pike. The Team Leader spoke to the informant – two were very wet and cold and only two of party had waterproofs. They were dressed in shorts and fleeces, and had no food or whistle. They did have a map and compass and two space blankets, but the GPS was broken. They had been on the top at midnight and had tried four times to find a way down without success. After a very long conversation, (30 mins) the Team Leader established that they were below the corridor route at the head of Piers Ghyll. They were persuade to rejoin the path and walk westwards where they met up with another party who were descending and were then happy to continue without MR assistance. Incident closed at 3.11 a.m. Incident started at 02:33 and ended at 03:11 making 0.6 hrs in total.